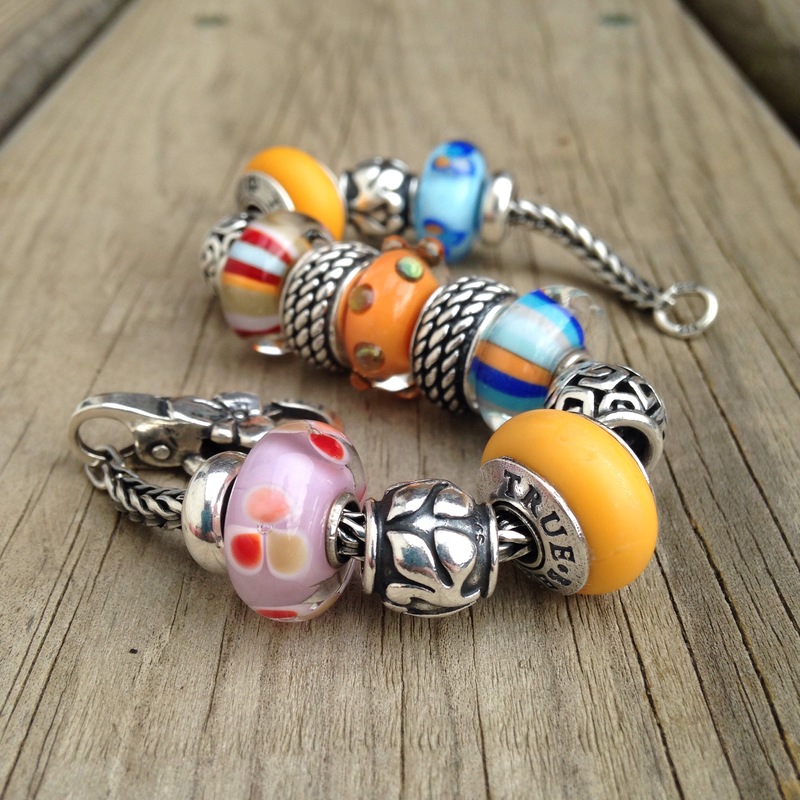 This is most of the Trollbeads Happy Summer Kit with the True Beadz True Touch Pumpkins. 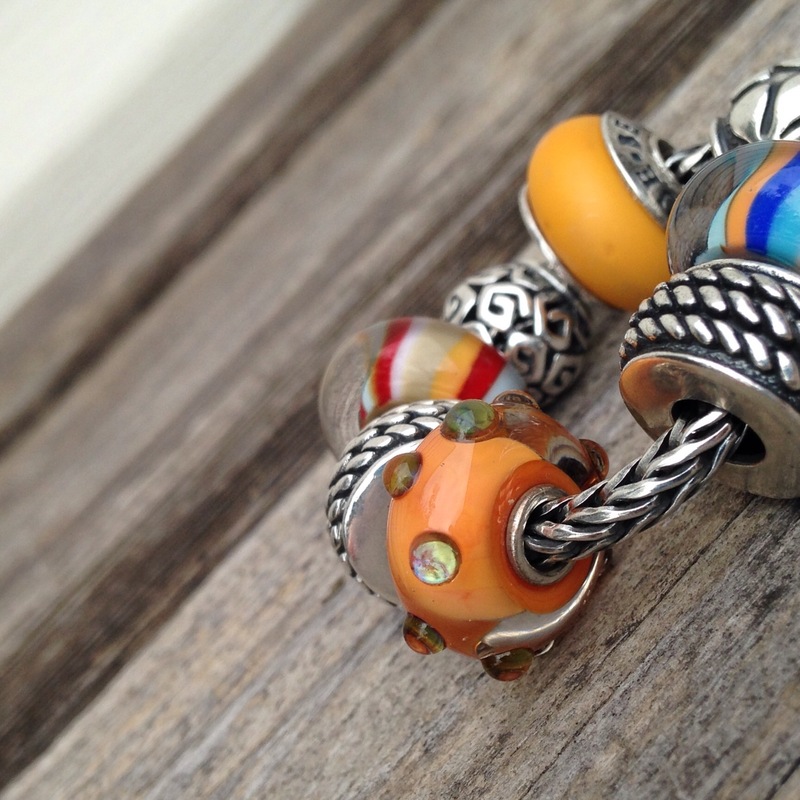 Stoppers and 1/5/7/9/13 are by Trollbeads. 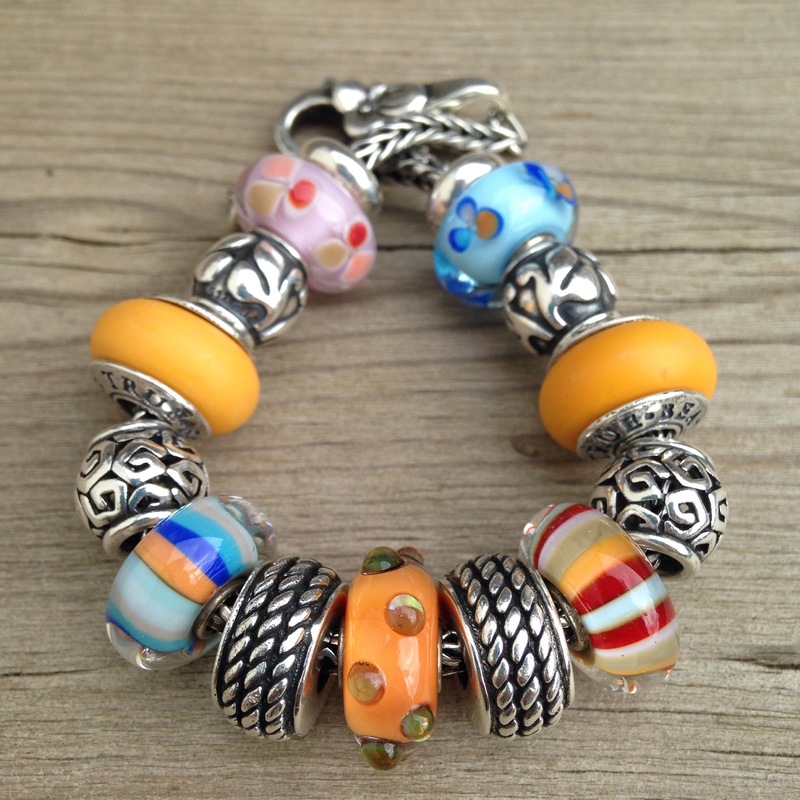 3/11 are by True Beadz. 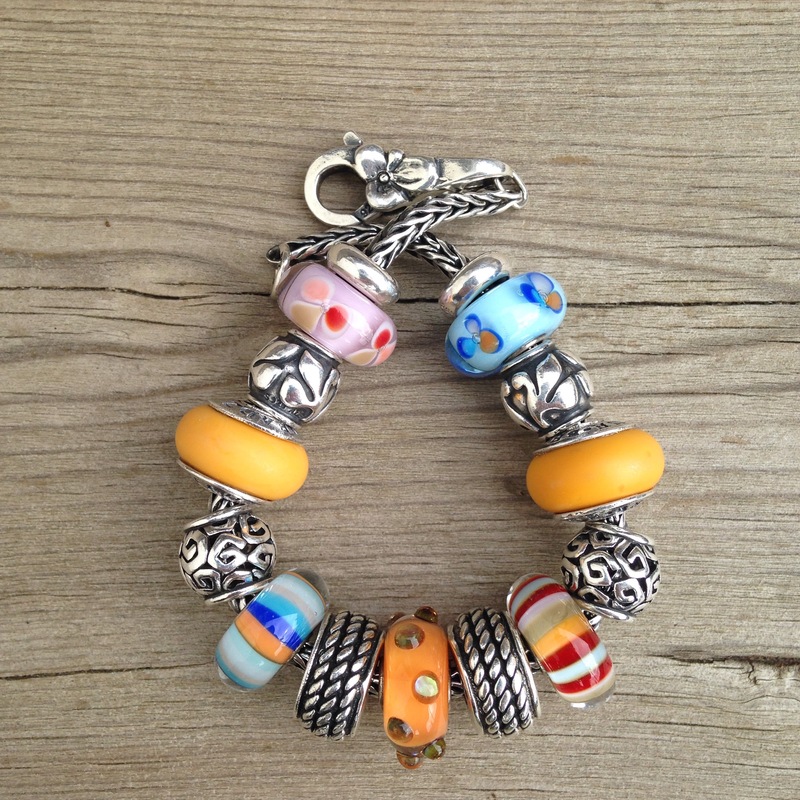 I love that you mix your beads and the way this combo came out. 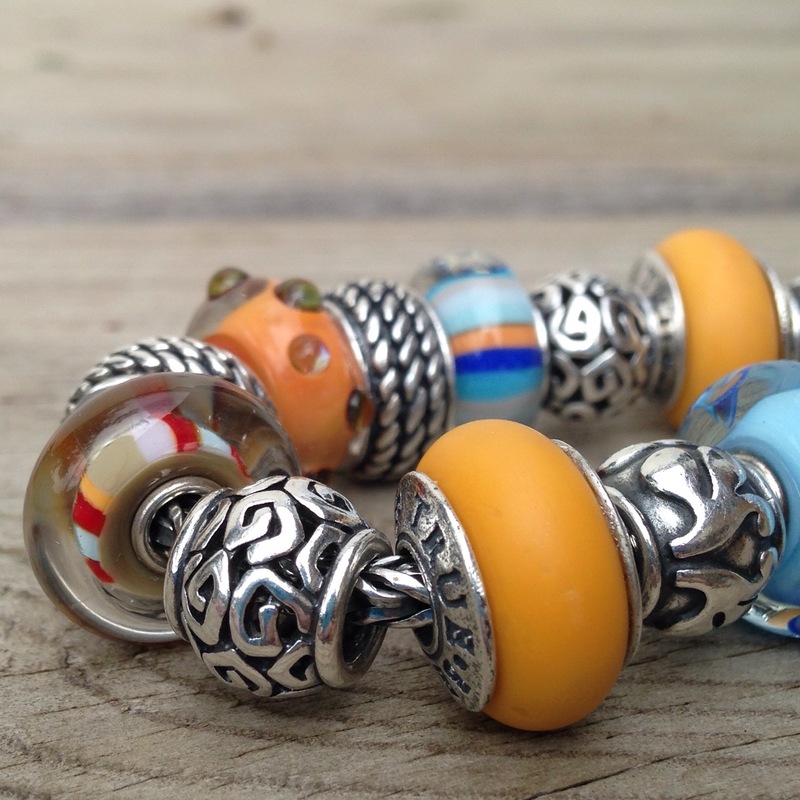 Strangely enough I’ve never considered not filling up a bracelet and just using the stoppers to keep the beads in place instead. Thank you so much, Kerry! I think you’re looking at the Pandora Friendly Florets. I’m pretty sure they are retired but Perlen still has them for around 18£. Thanks for reading!